All forces taking part in fighting around Libya’s capital, Tripoli, should take all necessary action to minimize civilian harm and abide by the laws of war, Human Rights Watch said late on Friday. “Fighters led by General Khalifa Hiftar, known as the Libyan National Army (LNA), have a well-documented record of indiscriminate attacks on civilians, summary executions of captured fighters, and arbitrary detention. 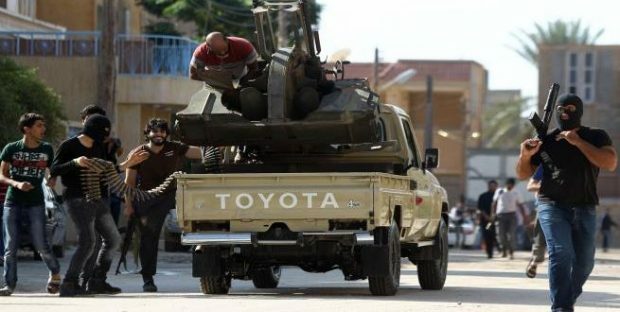 Militias affiliated with the United Nations-backed Government of National Accord (GNA) and based in western Libya also have a record of abuses against civilians.” Human Rights Watch explained. Sarah Leah Whitson, Middle East and North Africa director at Human Rights Watch, said all sides need to abide by the laws of war and minimize civilian harm. Meanwhile, clashes are still ongoing between Haftar’s forces and forces of the GNA, backed up by different brigades from central and western military zones, including Misurata’s forces. Fierce clashes have been reported in Tripoli International Airport, which has been controlled this afternoon by the GNA forces, according to the Interior Minister Fathi Bashagha. Qasir Benghashir, Sawani, Ain Zara, Waid Al-Rabea and other areas like Heera and Mizda are all frontlines of clashes between Haftar’s forces and GNA forces.